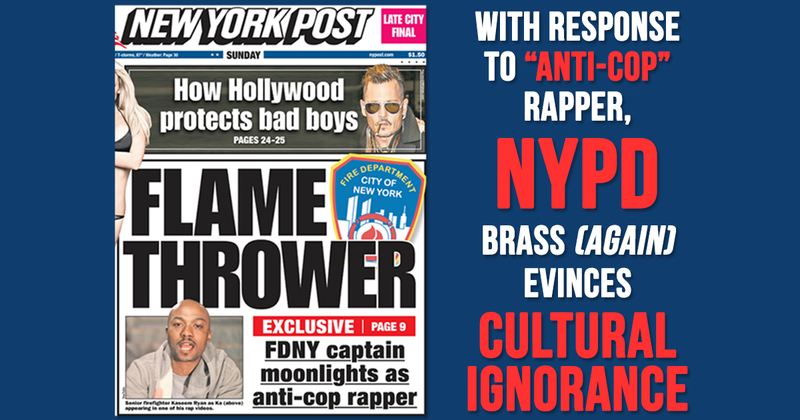 In an August 21, 2016 cover story titled ‘FDNY veteran ‘bad-mouths’ cops in double life as rapper,’ the New York Post exhibited an egregious, disrespectful bias against hip-hop artist and FDNY Captain Kaseem “Ka” Ryan, his music, the hip-hop community and its associated culture. Mr. Ryan, in his spare time, exercises his constitutional right to expression as a recording artist. Some of his work is protest music, remonstrative in nature. However, cherry-picking his lyrics without context in an effort to paint Mr. Ryan as some sort of clandestine verbal terrorist, is a shameful example of ongoing media bias toward hip-hop music, its community and culture. This cavalier response is the latest in a series of biased attacks by higher-ups in New York’s law enforcement ranks which are caked in cultural ignorance and border on bigotry. They continue in the discouraging spirit of former NYPD Commissioner William Bratton’s reaction to the deadly Irving Plaza shooting in May, 2016, where he referred to rappers as “basically thugs,” implying that the bulk of those who participate in the genre are criminals. It is true that, in his music, Mr. Ryan speaks vividly about his feelings toward the law enforcement and criminal justice systems that have so blatantly failed his community and others like it. His words are often aggressive, harsh and biting. But what Mr. Mullins and media outlets who take these opportunities to manufacture controversy choose to ignore is that this type of language is a reaction to decades of aggressive, harsh and biting attacks on communities of color proven to have been perpetrated by law enforcement. Policing practices such as the “conspiracy against black citizens” that went unchecked for years in Ferguson, Missouri, proven only after a federal investigation following the deadly shooting of unarmed teenager Michael Brown. 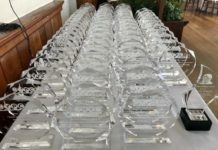 Policies such as how Baltimore police officers have been shown to have violated the Constitution and federal law for years in communities of color, a Department of Justice finding which only came to light after the death of Freddie Gray, who died under suspicious circumstances while in police custody. Policies most recently uncovered as part of the “police culture of coverup” in Chicago, coming to light after the police killing of LaQuan McDonald. Criticizing reactions to these abhorrent practices — even when one disagrees with the style or substance — reeks of undemocratic, unconstitutional and, frankly, unpatriotic censorship. 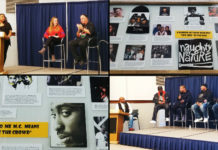 If Mr. Mullins’ interests were truly aligned with helping “bring people together instead of [fracturing] relationships,” he would be sitting down with communities of color, members of the hip-hop activist community and artists like Mr. Ryan to better understand this type of reactive artwork. He might have taken this opportunity to address the blatantly discriminatory practices which Mr. Ryan and his community has been subject to, instead of adding to the incendiary bias with statements that exude ignorant naivete. If the New York Post had any measure of journalistic integrity regarding this “story,” it would have sought commentary from appropriate members of the hip-hop community, in order to present a fair and balanced perspective. As it stands, the issues that continue to divide the law enforcement community and communities of color — issues that are explicitly discussed in the music of Mr. Ryan and others — are not going to be solved with biased, inflammatory reporting, bigoted attitudes or condescending commentary. The messages in Mr. Ryan’s music should be used as a tool to foster understanding, rather than be dismissed due to to a lack of cultural understanding. 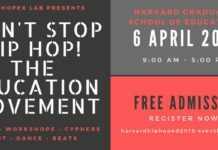 Hip-hop is a culture, as defined by institutions of higher learning including Cornell University, Harvard University and many others. Rap is not merely a popular music genre heard on the radio. It is an incredibly expressive artform that, while often misunderstood, holds as much credence as Dr. Martin Luther King’s Letters from a Birmingham Jail, Bob Dylan’s “Hurricane” or newspaper writings leading up to the Boston Tea Party. Citizens utilizing harsh language and occasionally virulent behavior to call attention to injustice and insist on corrective action is characteristic of the very ideals on which this country was founded. This freedom of speech, no matter how uncomfortable, remains the hallmark of our nation’s revolutionary spirit, and should never be disregarded or denigrated, no matter its form, substance or source. To portray Mr. Ryan as anything other than the exceptional public servant that he is based solely on a poor, non-contextual analysis of his Constitutionally-protected, poetic, social commentary is an unequivocal misuse of journalistic power. Echoing these sentiments, as Mr. Mullins has done, demonstrates continued prejudicial nonchalance toward the very communities that law enforcement needs to understand the most. Transgressions which are far more damaging than any rap song could ever be.